TERRIBLE TUESDAY! : Christian Eric Beaulieu of Peace Creep & Anywhere in-studio on Terrible Tuesday w/Naked Rob, 4-6PM PST! Christian Eric Beaulieu of Peace Creep & Anywhere in-studio on Terrible Tuesday w/Naked Rob, 4-6PM PST! On tomorrow's The Terrible Tuesday Thrash Attack Radio Show w/Naked Rob, Christian Eric Beaulieu of San Francisco's, PEACE CREEP will be in-studio. Peace Creep includes: Phil Becker (Triclops, Pins Of Light) and Donny Newhouse (Hot Fog, Film School). 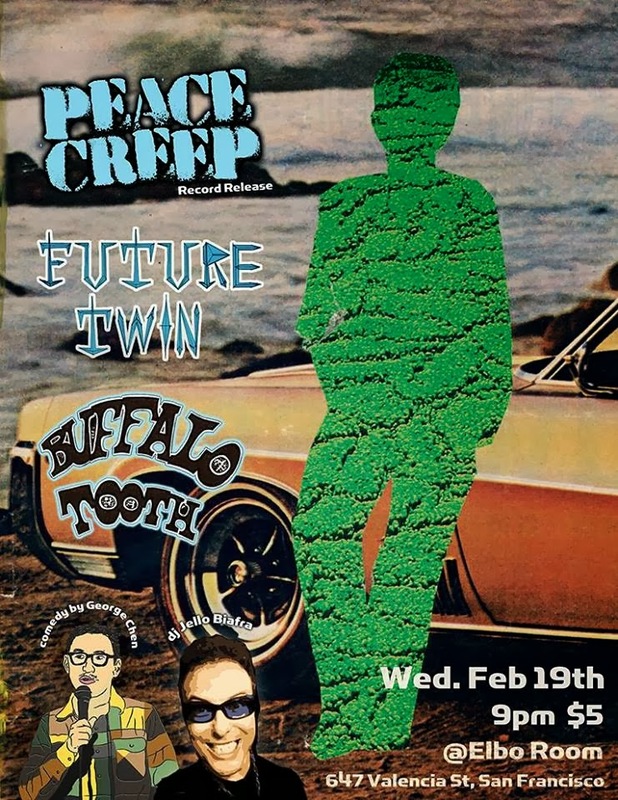 Christian & I will be talking about Peace Creep's new album on Alternative Tentacles Records and their record release party this Wednesday the 19th at the Elbo Room here in San Francisco. Christian is also in another project called, Anywhere. The band consists of Mike Watt (The Minutemen), Cedric Bixler (The Mars Volta), Dale Crover (the) Melvins), Krist Novoselic( Nirvana), and Ethan Miller (Howlin' Rain). Oh my!